Next week Baz Luhrmann’s The Great Gatsby finally comes out and the cinematography, styling and soundtrack all look AMAZING! 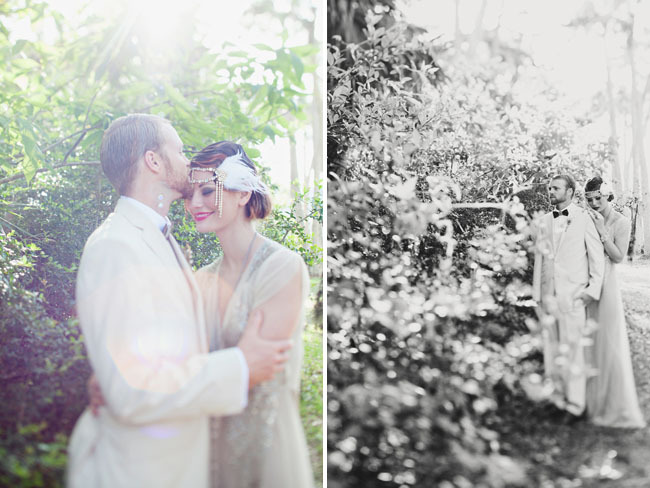 Can’t wait to see it…With 1920’s fashion + design so popular right now (especially in weddings!) 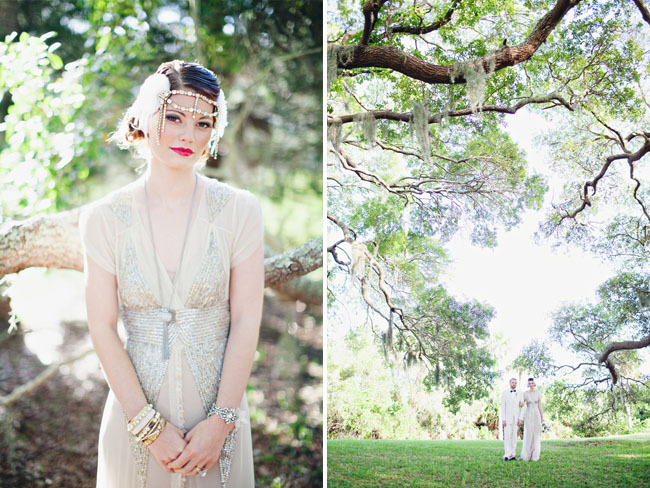 I’m excited to share not one, but two gorgeous 1920’s styled shoots today! 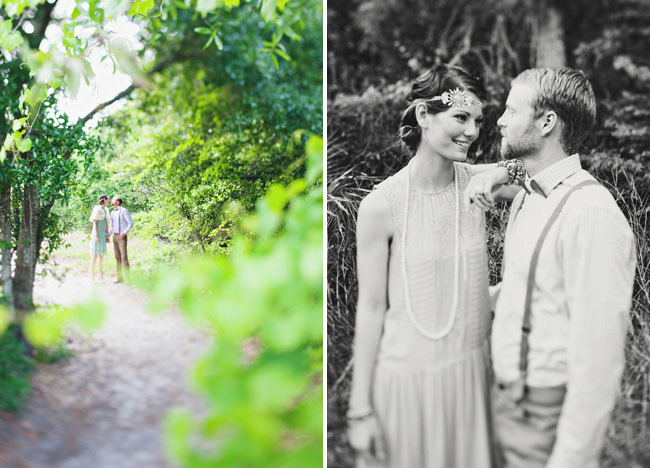 The first is from Jenn & Derrek Sullivan with Flora + Fauna. 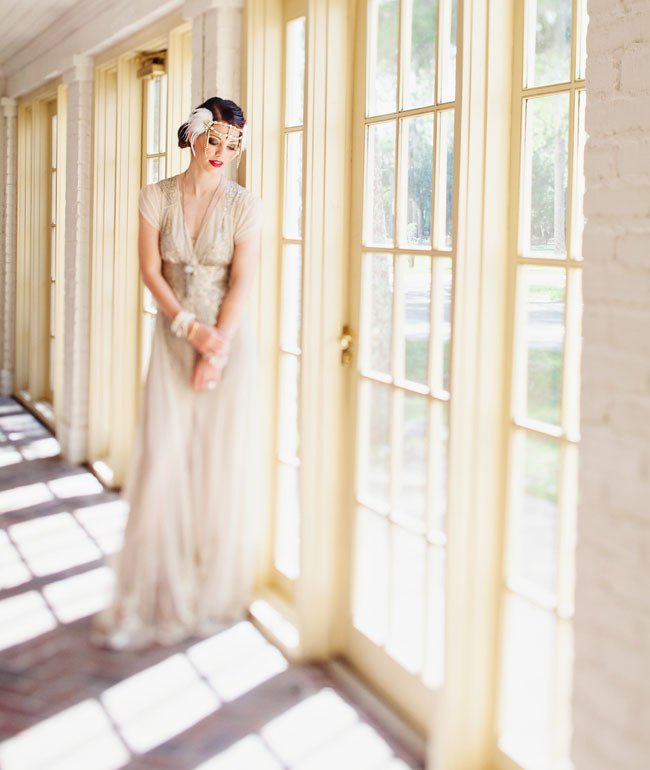 Their team set their shoot at The Ribault Club in Jacksonville, Florida which was built in the 1920’s – how fitting, right? 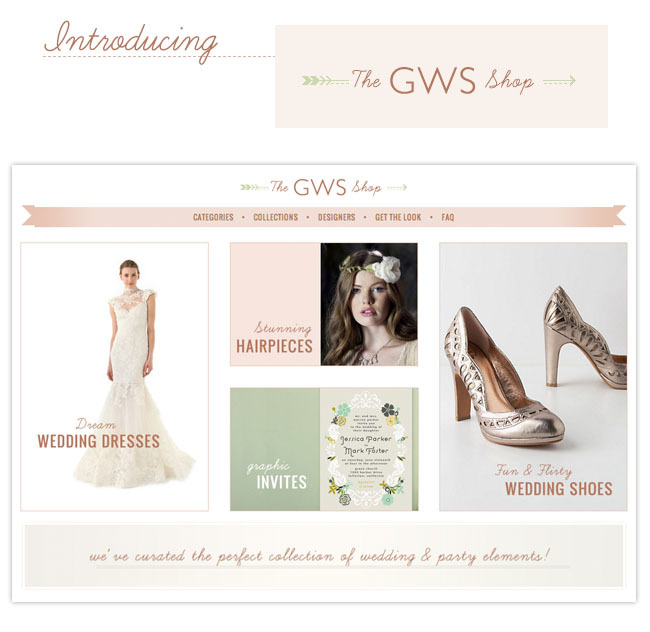 I love that they used the gorgeous Aiguille gown from BHLDN. 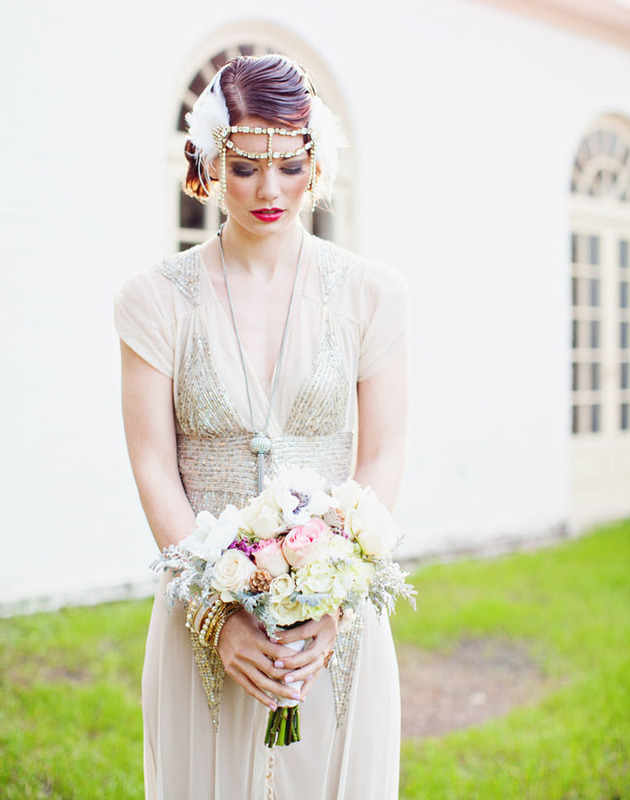 One of my most favorite 1920’s inspired dresses available for brides right now! “Can’t repeat the past?…Why of course you can!” ― F. Scott Fitzgerald, The Great Gatsby. 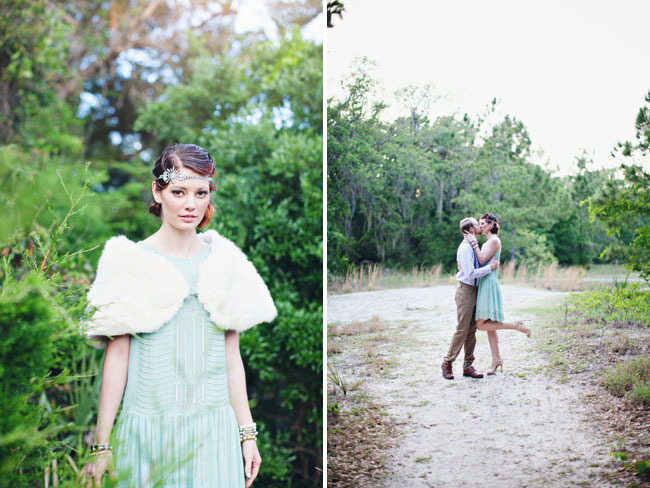 I love the Great Gatsby theme.. everything looks fantastic. I love seeing my hometown represent! So happy to see such great talent in Jacksonville! Amazing wedding! 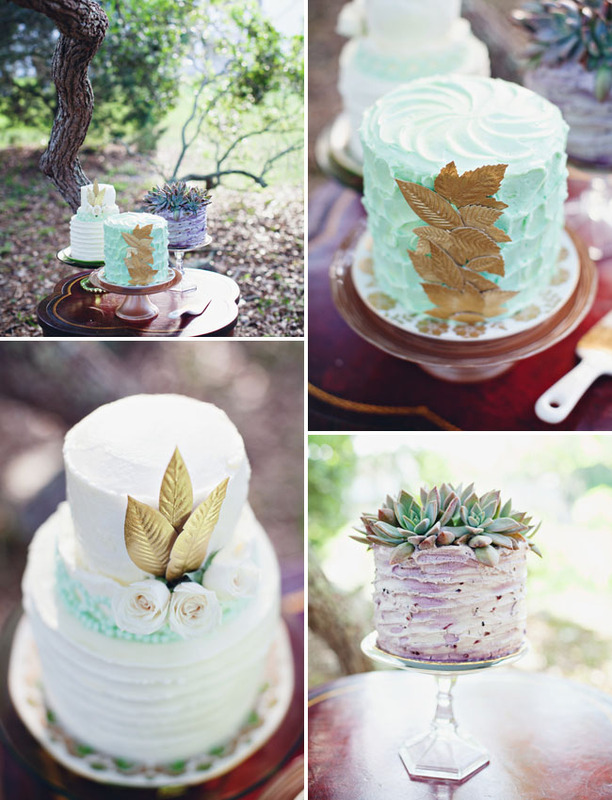 Kudos to all the artists involved in bringing such beauty and class to this wedding! 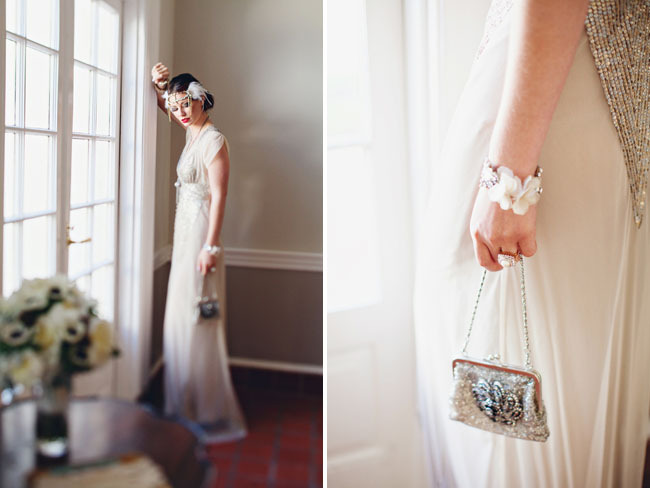 i love the 1920s inspired vintage look! 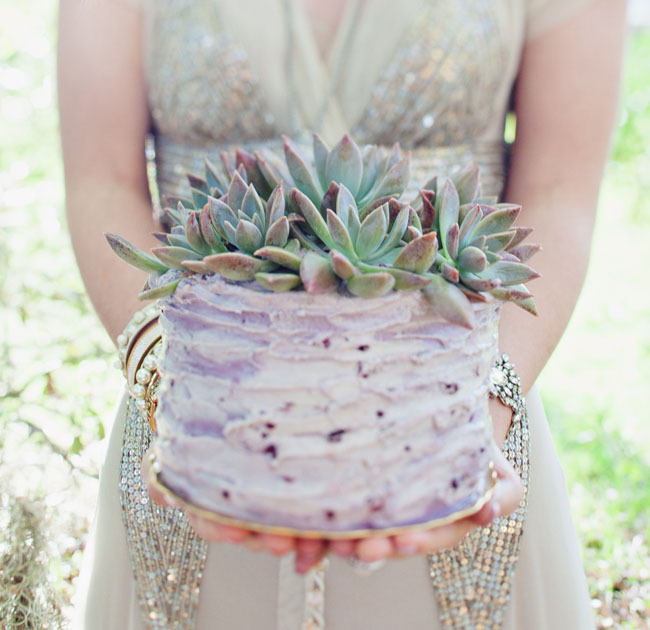 perfect for a wedding!! Absolutely stunning! 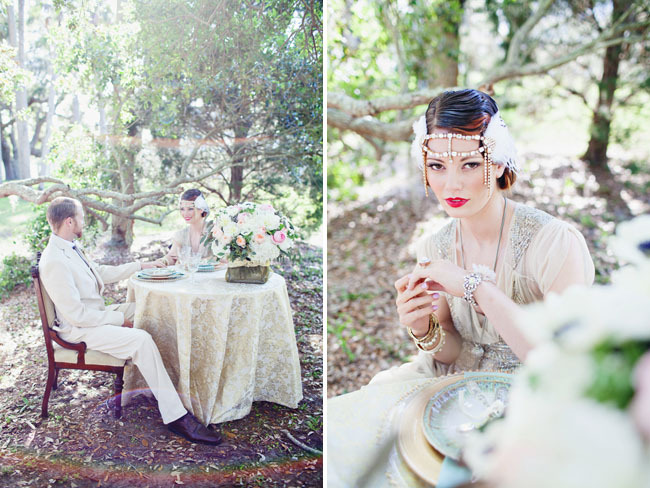 Love all the 1920’s fashion! 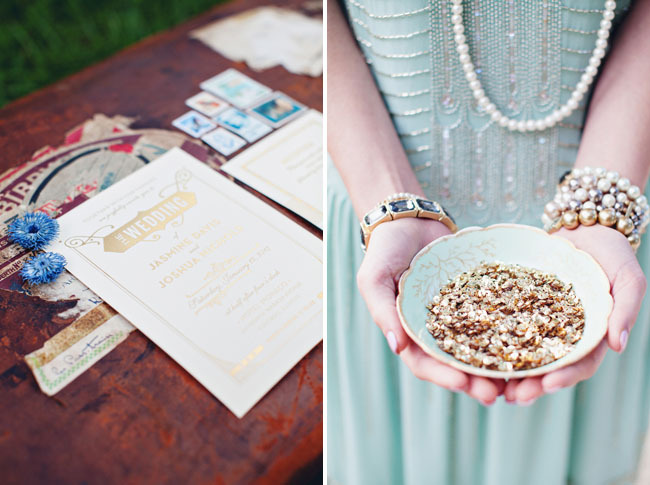 I love, love, love this Gatsby inspired wedding shoot. So gorgeous. 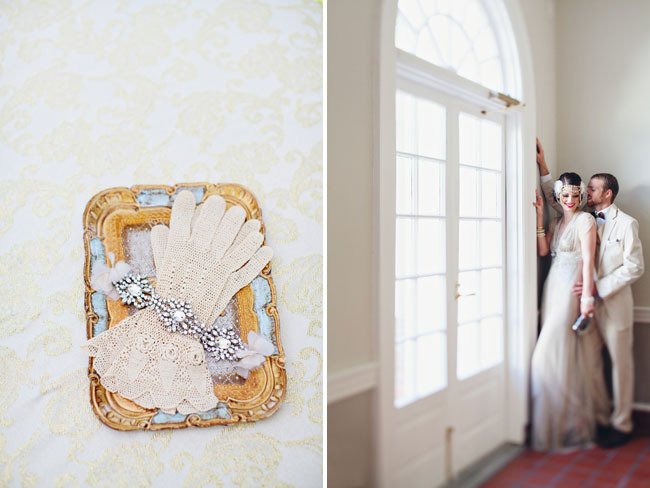 The bride is gorgeous, and totally pulls this off…I love everything about this shoot! absolutely beautiful collection, I love this theme! 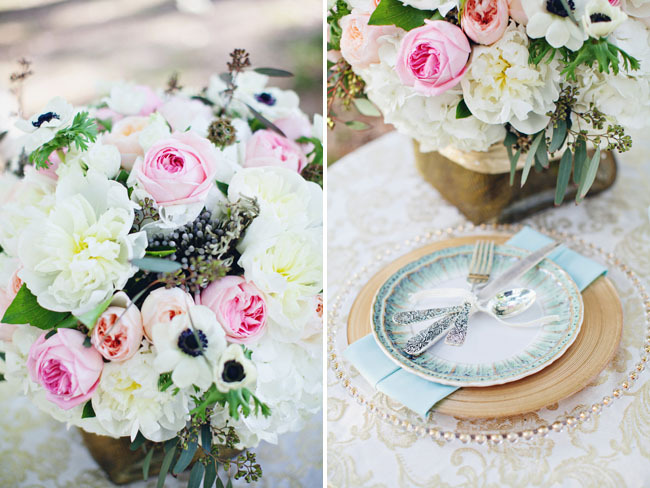 Wow, gorgeous styling. I love her headpiece and that wooden bowtie is so clever. 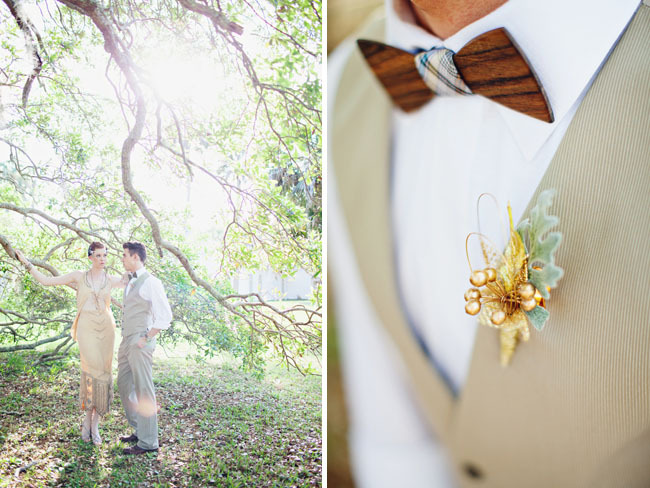 Fun boutonniere too! 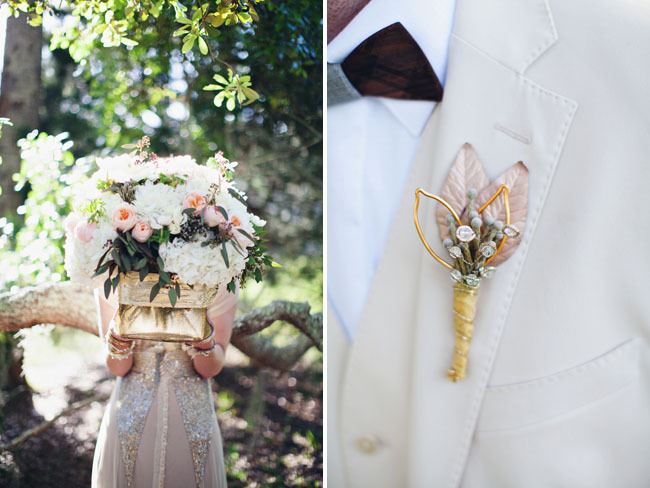 Hey I love the theme of the wedding, where did u get the boutonnière from?? ?